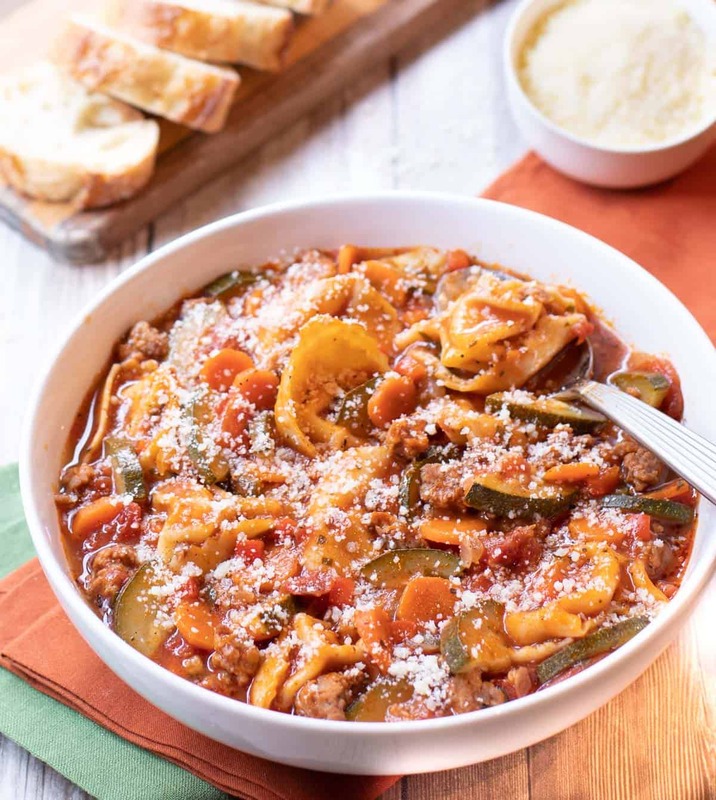 To wrap up my fall posts featuring fresh zucchini, today I’m sharing this amazingly delicious, Italian-inspired Tortelloni Soup with Sausage, Carrots and Zucchini. The weather in Denver is finally starting to feel like fall, and that means it’s one of my favorite seasons – soup! My husband Robert and I both love soup for dinner, especially on chilly fall and winter evenings. Tortelloni Soup with Sausage, Carrots and Zucchini is one of our new favorites. Not only is it super easy to prepare, it’s overflowing with delicious flavors and textures. I first had this soup at the beautiful Breckenridge home of good friend Carol McDermott. While she was preparing it, I could tell just from the list of ingredients that it would be scrumptious. Well, it didn’t disappoint! So much flavor going on in one bowl of soup. Italian sausage, onion, garlic, fresh carrots and zucchini are combined together with tortelloni in a seasoned tomato-red wine broth. After simmering to allow the flavors to combine, this Italian-inspired soup is topped with freshly grated Parmesan cheese. What more could you ask for? Well, maybe a loaf of warmed, crusty bread and some butter on the side – and now you have a one dish, super delicious dinner! Super easy to prepare, this hearty soup is overflowing with both delicious flavors and textures. In a large stock pot, combine the sausage, onion and garlic over medium heat. Cook, stirring and breaking up the sausage with a spatula, until the onion is soft and the sausage is no longer pink. Skim fat from top of soup (I use a paper towel). Stir in tortelloni, zucchini, bell pepper and parsley. Cover and simmer for 20 minutes, stirring occasionally. Season to taste with salt and pepper. Serve garnished with Parmesan cheese (or on the side). 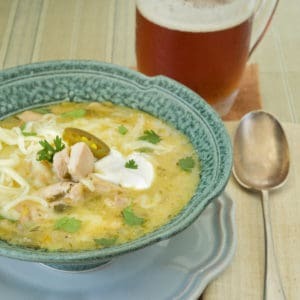 Note: can substitute 2 cups chopped fresh tomatoes for canned; increase chicken broth by 1/2 cup.